Turn Key solution for fatigue and stress corrosion cracking problems. Lambda Technologies offers complete solutions for fatigue and stress corrosion cracking (SCC) problems through the design and creation of compressive residual stress fields to offset applied tension and mitigation of surface damage. The exclusive design protocol results in a turn-key production solution providing our customers with state of the art residual stress measurement, fatigue modeling, and CNC production technology in a single comprehensive package. 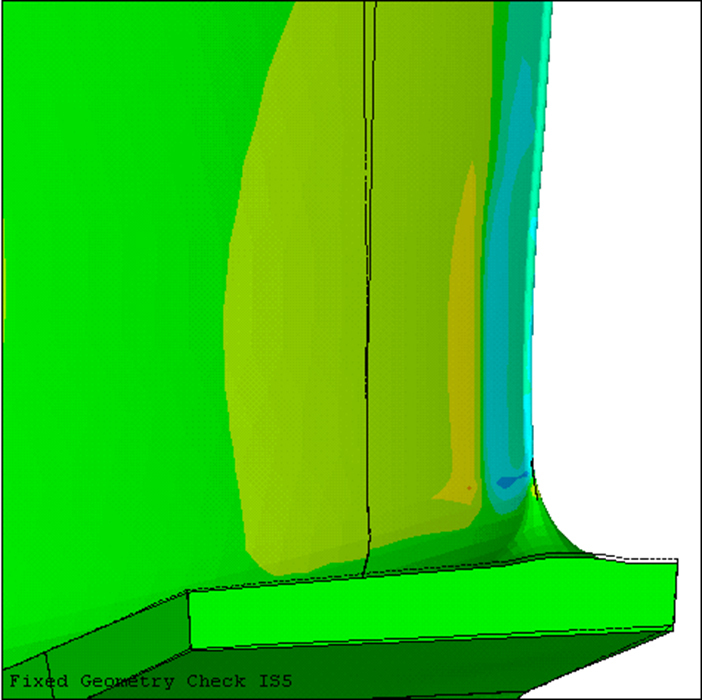 Applied stresses are determined by finite element modeling, measurement, or estimated from the failure history of the component. 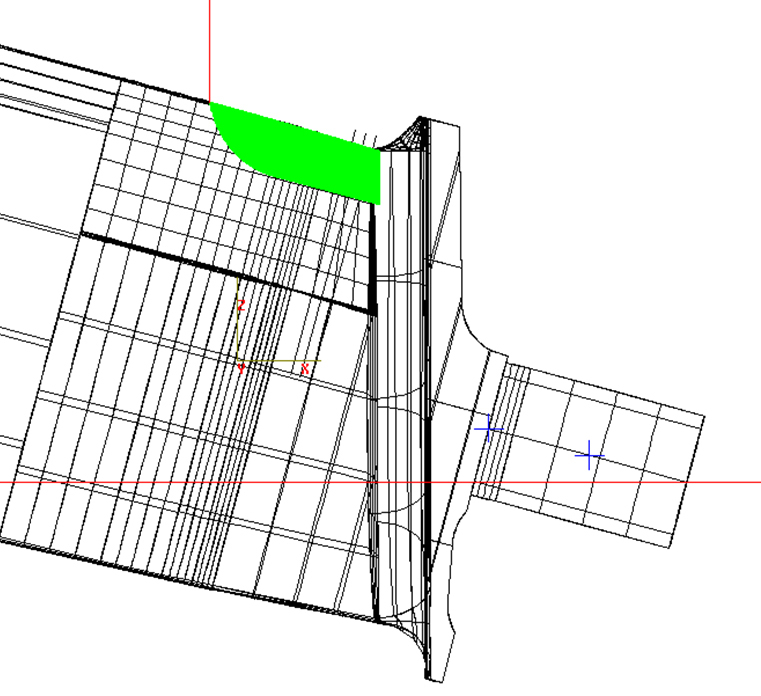 Finite element models of mean and alternating stress are prepared to support both the design of the compressive residual stress field and tool path modeling. 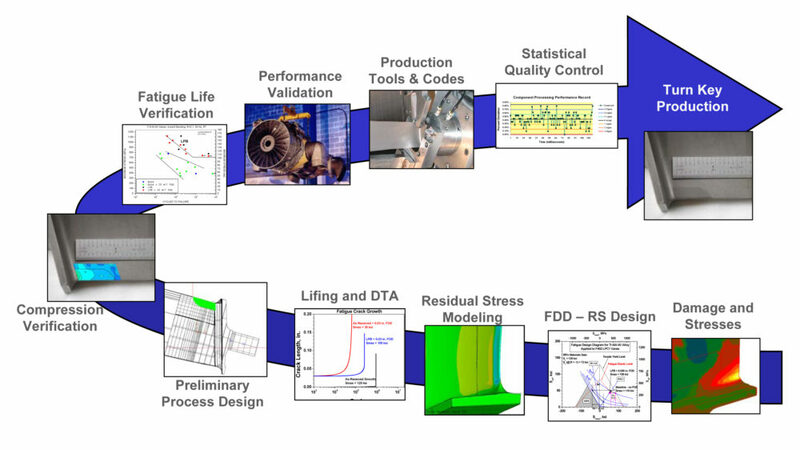 Using Lambda’s fatigue design diagram technology, the amount of residual stress required at each point in the component is determined to precisely overcome the applied tension and the stress intensity factors caused by surface damage. 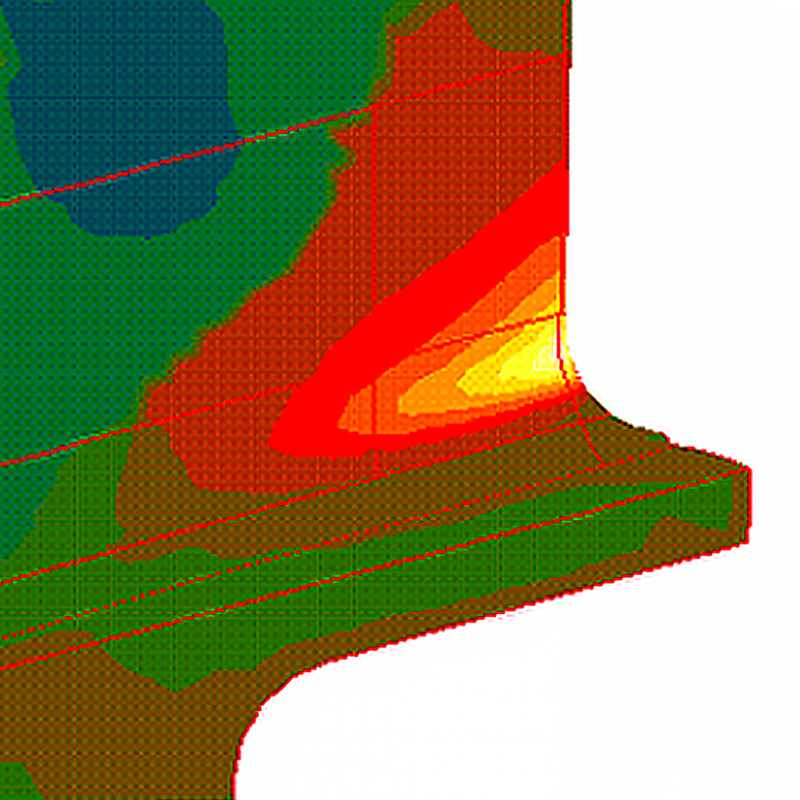 A residual stress distribution is calculated by application of the fatigue design methodology, applied stresses, and stress concentration factors caused by damage. The model is adjusted to minimize equilibrating tension and distortion while achieving just the level of compression necessary to attain the required performance. 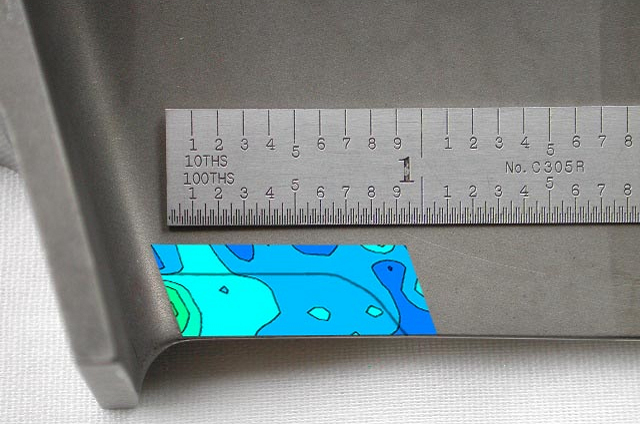 Using Lambda’s unique laboratory facilities and measurement techniques, the residual stresses achieved by LPB® or other surface enhancement process are mapped both with depth and position onto the component to determine whether or not the designed residual stress distribution has been achieved by surface enhancement. Fatigue testing of either feature specimens or actual components, such as fan blades, is conducted to verify the fatigue performance under the conditions of surface damage, temperature, corrosion, and environment appropriate for the application. LPB® tooling and CNC control and pressure codes required to generate the residual stress distribution in the component are created for integration into the client’s manufacturing operation or to be provided separately as a processing service. Lambda’s unique “smart” tooling based upon the patented constant volume hydrostatic bearing tool design provides unique real time quality control monitoring of the force applied to the component as a function of CNC tool positioning. Any variation is immediately identified, recorded, and uploaded to the web for review by the client’s QA system and assessment of system performance by Lambda technicians. A turn-key system consisting of the hydraulic control system, tooling, and proven CNC and pressure code files required to achieve the designed residual stress distribution is delivered to the client for integration into their manufacturing operations. The client receives a completely engineered solution to their fatigue or stress corrosion cracking problem delivered directly to the manufacturing floor.